Open up to these cleverly sewn page holders. 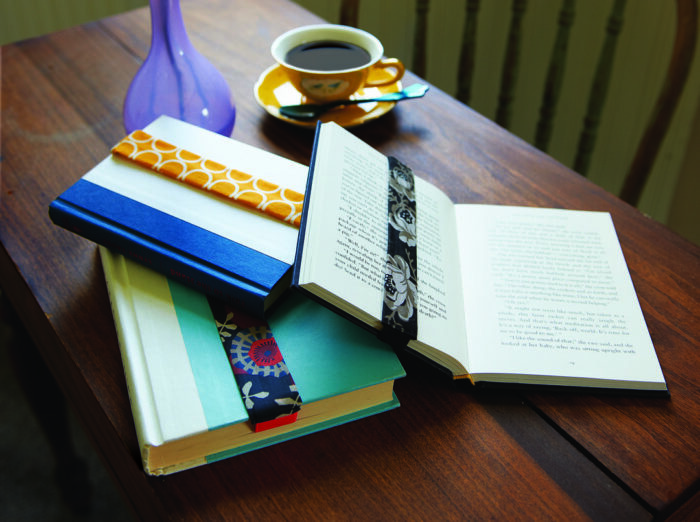 Book lovers, you can keep your place with easy-to-make fabric bookmarks. This is the perfect project to go wild with bold fabric and colorful elastic, but you could opt for a cleaner, more monochromatic color scheme instead. In fact, the bookmarks are so quick to complete you could even customize the fabrics and elastics to suit the genre you enjoy or a series you’re reading. Besides fabric choice, the beauty of this project is how easy the bookmarks are to create. You’ll choose your materials, plan for size, cut and sew the fabric, and attach the elastic. You’ll be back to reading your book before you know it. When choosing the elastic for your bookmark, keep in mind that a narrower strip is easier to slip around the book. 1. Determine the bookmark size. 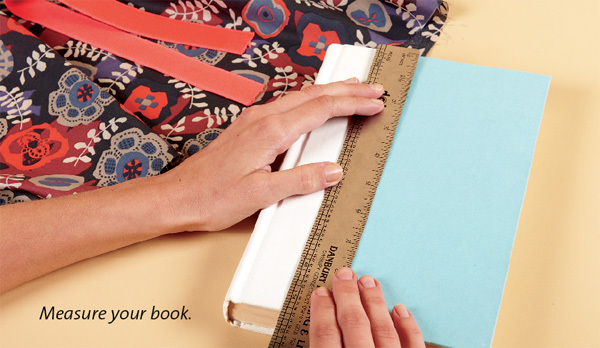 Measure the length and thickness of the book for which you’re making the bookmark. The finished bookmarks here fit most standard hardcover (9 inches long), paperback (7 1/2 inches), or mass market books (6 1/2 inches). 2. Cut the fabric and elastic. 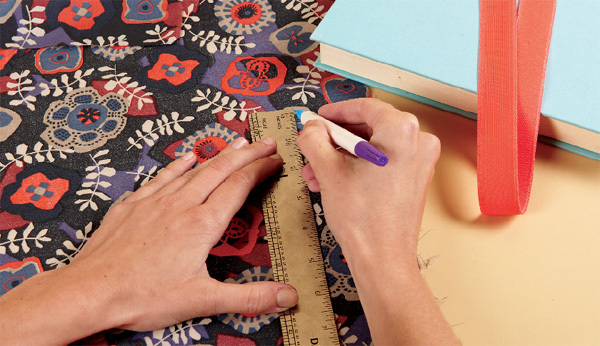 With a water-soluble marker suitable for your fabric or a chalk pencil, draw a rectangle on the fabric’s straight grain the length of your book, and twice the width of the elastic plus 1/4 inch. Add 1/4-inch seam allowances to all edges. Cut the elastic twice the book’s thickness, plus its length, plus 1/2 inch. 3. Construct the bookmark. Press under 1/4 inch on the rectangle’s short ends. Fold the fabric rectangle in half lengthwise, right sides together, and sew the long edge, leaving a 1/4-inch-wide seam allowance. Press open the seam allowances, and turn the tube right side out. Press the tube flat, centering the seam on the back. 4. Sew the elastic. Tuck 1/2 inch of each end of the elastic into the ends of the tube. Edgestitch across the tube ends, catching the elastic. Lightly press the bookmark. This article, by fashion and knitwear designer Alex Sudalnik, first appeared in the Threads publication Quick Stuff to Sew, Winter 2011. Photos by Sloan Howard.